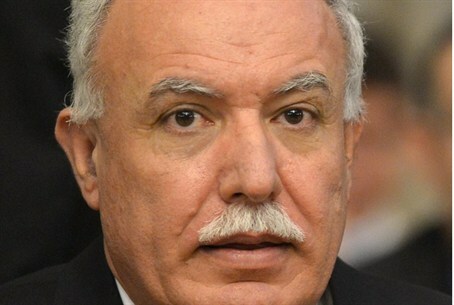 PA Foreign Minister Riyad al-Malki says his government would take Israel to court over "war crimes" in Gaza. The Palestinian Authority’s (PA) Foreign Minister Riyad al-Maliki on Saturday said his government would soon try to haul Israelis before the International Criminal Court (ICC) for war crimes. "We will go to the ICC, and put our signature on it. Very soon we will be a (sovereign) state. That is enough for the court to start an investigation," Maliki, on a visit to Bogota, told AFP. Al-Maliki said last week that he inquired about the legal procedures necessary for the PA to join the ICC and sign the Rome Statute in order to take action against possible Israeli war crimes in Gaza. He noted that the PA should now qualify for ICC membership due to its status as a UN non-member observer state. PA officials realize, however, that joining the ICC is a calculated risk because it would give Israel a forum to pursue war crimes charges against the PA as well and particularly against Hamas. In a recent interview, the PA's envoy to the United Nations Human Rights Council (UNHRC) admitted the PA has no hope of pressing charges against Israel in international courts - because Palestinian terrorist groups are far worse violators of international law themselves. Noting concerns that Israel could launch legal offensives of its ownagainst the PA should it sign up to the ICC, the presenter asked whether such a move would be realistic. The response was unequivocal. Shurat Hadin, a non-governmental organization that operates against terrorists through the courts, has warned it would lodge 'a tsunami' of criminal complaints against senior PA officials, should the PA go through with its application to join the ICC.